What is the difference between commercial and industrial lighting? Choosing lighting solutions for your business can be somewhat overwhelming? There are so many different types and grades of lighting to choose from. We here at Conservergy understand a thing or two about lighting, and we are here to help you find your way. There are some very distinct differences between commercial and industrial lighting. Industrial lighting is typically found in manufacturing environments such as factories, chemical plants, or refineries. Depending on the type of business you run, industrial lighting. Industrial lighting can be particularly helpful for spotting or identifying hazards and other dangerous conditions. The “brightness” of industrial lighting can also help manufacturing employees perform their work more accurately. 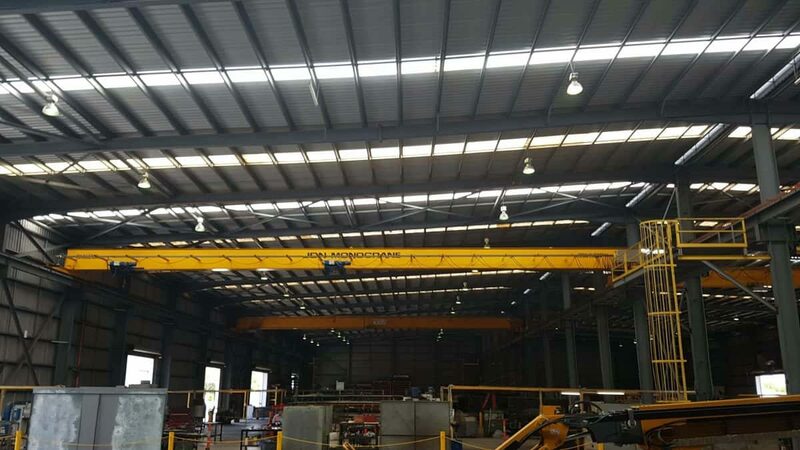 Industrial lighting also tends to be more energy efficient for manufacturing facilities which tend to be rather large in size. Commercial grade lighting is typically found in other business environments such as restaurants, hotels, schools and multi-unit residences such as condos or apartments. Commercial lighting can often to be tailored to create a particular feel or ambience in a commercial space. Commercial lighting can be used to convey a certain level of energy, trigger specific moods, or induce productivity. Now that we’ve covered a high-level comparison of industrial and commercial grade lighting let’s dive into some specifics. Lighting technology has made considerable advancements over the years for both commercial and industrial properties. New lighting technology tends to provide more benefits regarding energy usage, performance and maintenance. 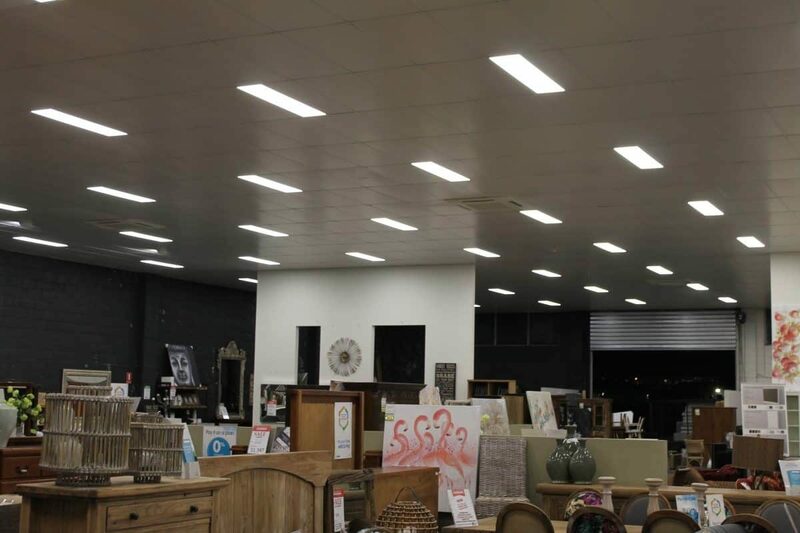 The initial costs of installing new lighting technology such as that which is made possible through LED (Light Emitting Diode) can seem high but can save a business a great deal of money over time. Older lighting technology such as fluorescent lights or HID (High-Intensity Discharge) which can be found in many industrial settings, can get to be relatively expensive. Not only are they less efficient, but because they require several minutes to warm up, most businesses choose to leave HID lighting on all the time which results in more energy usage. Over the years, many advances have been made to improve the efficiency of both commercial and industrial lighting solutions. In April of 2018, the Council of Australian Governments Energy Ministers (COAG) introduced legislation that aims to phase out incandescent and halogen lamps in favour of more energy efficient LED lights. This will create a $1.4 billion-dollar tax savings for both residents of Australia, as well as businesses. LED lamps not only last longer than other alternative lighting solutions, but they also offer a better quality of lighting while burning less energy overall. Depending on the type of business, lighting can account for more than 50% of total energy usage. Adding more efficient lighting, such as the light provided by LED technology, can reduce energy costs to approximately 10% of total energy usage accounting for huge savings for any business. If you happen to be evaluating whether it is beneficial to upgrade commercial or industrial lighting for your business, you might start by measuring your current energy usage and calculating the potential cost savings from implementing more energy efficient lighting. This may help you create a solid business case that will yield great financial value in terms of cost savings. Whether your business requires industrial lighting or commercial lighting, maintenance will inevitably be a part of the expense equation. If as a business owner, you decide to move forward to upgrading your industrial or commercial lighting system to a solution that is more efficient and cost-effective such as LED, you may find that while not completely free from maintenance, LED lighting solutions tend to require considerably less maintenance than other lighting alternatives. The costs for maintenance of LED lighting systems can be split between two factors: components and maintenance. The prices of lighting components will not vary widely. However, depending on the maintenance required and the complexity of the repair at hand, labour costs can vary quite a bit. If a repair involves maintenance of bulbs or fixtures, the prices are typically very reasonable. Sometimes, a more complex repair may be needed. For instance, a facility may involve repair or maintenance to LED control systems where an operator may be able to control the lighting remotely. The labour costs for such complex maintenance might become rather costly. All in all, however, LED lighting technology tends to afford fewer and lower maintenance costs.